- Be assured that grayscale and color medical images and patient information are consistent and accurate on every display, plus the HP Pixel Policy guarantees zero bright dots. 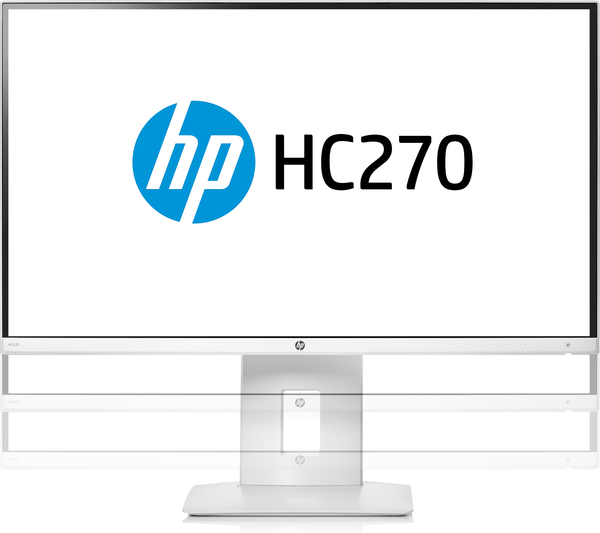 - View up to 60% more of your images and records onscreen with a 2560 x 1440, 27” diagonal display; work across multiple displays with micro-edge bezels and DisplayPort™ multi-stream support. - Attach your HP Desktop Mini or select HP Thin Client behind the display for an integrated, small footprint solution that’s perfect for busy and shared spaces like nurse’s or charting stations.